We may use the email address to send Users information and updates pertaining to their listing. It may also be used to respond to their inquiries, questions, and/or other requests. 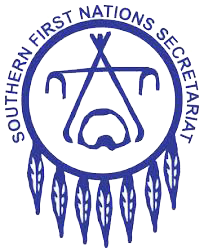 If Users decides to opt-in to our mailing list, they will receive emails that may include Southern First Nations Secretariat news, updates, related programs or service information, etc. If at any time the User would like to unsubscribe from receiving future emails, we include detailed unsubscribe instructions at the bottom of each email or User may contact us via our Site. We adopt appropriate data collection, storage and processing practices and security measures to protect against unauthorized access, alteration, disclosure or destruction of your personal information, username, password information and data stored on our Site. We do not sell, trade, or rent Users personal identification information to others. We may share generic aggregated demographic information not linked to any personal identification information regarding visitors and users with First Nations economic development, trusted affiliates and advertisers for the purposes outlined above.